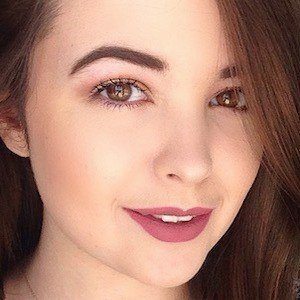 YouTube literary personality who is widely known for her eponymous channel's content. She has gained popularity for her book reviews, haul unboxings, and tags. She began her YouTube channel on June 30, 2011. She has amassed more than 30,000 subscribers to her YouTube channel. One of her most popular videos there, "Christmas Book Haul (40+ books)," has earned more than 50,000 views. She featured her mother in her March 5, 2016 video "Bachelor Book Tag Feat. MY MOM!" She and fellow YouTuber Regan Perusse are both known for their frequent YouTube book reviews.